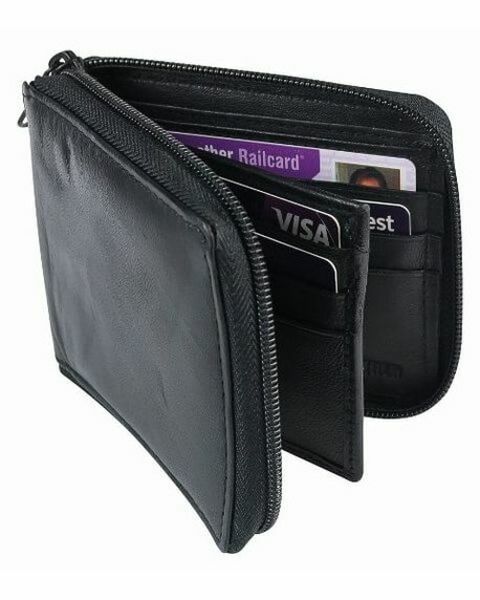 Men's black leather zip wallet. For notes and cards. Gents wallet with zip fasterning. Inner space for notes and cards.